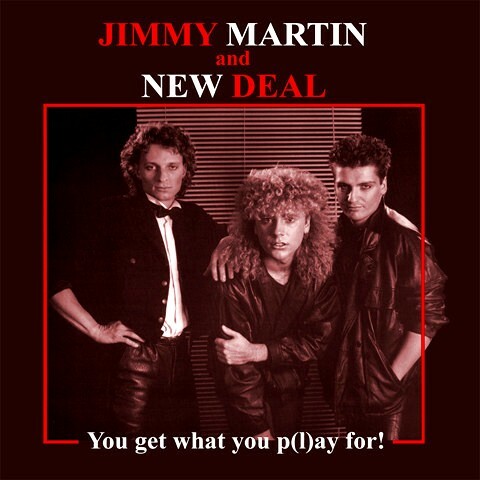 - Jimmy Martin is a singer from Luxemburg and in the last 20 years he managed to estabish himself as an artist, producer and songwriter worldwide. Working together with the famous producer and Grammy award winner Clif Magness (Avril Lavigne, Kelly Clarksson, Celine Dion) got Jimmy Martin a record deal with EMI music. Jimmy Martin's first album "The Rhythm Of Life" ( including the single "I Can't Fight Love") rocketed into the Canadian charts. Jimmy's second album "Kids Of The Rockin' Nation", was recorded in Los Angeles. Famous names such as John Edwards (Status Quo), Jeff Rich (Status Quo), Laurie Wisefield (Tina Turner) und Don Snow (Simply Red) did help him on the album. His single "Drivin' Through The Pouring Rain" was co-produced by none other than Desmond Child. A dream came true for Jimmy Martin with his last single. He recorded "Love Somebody" together with his idol Rick Springfield in Los Angeles in 2006. The respective video was on heavy rotation on HIT 24 for more than 23 weeks!!! In 2002, Jimmy Martin received a gold-award from RTL for his single "Angels" and in 2005 he and Clif Magness produced the album "Different" for British Pop Idol-winner Jamie Shaw. 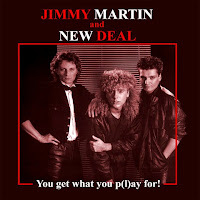 Now Jimmy Martins's album "You Get What You P(l)ay For" has been re-mastered and is available as a re-release on CD for the first time. The album was recorded in Los Angeles and Luxemburg in 1982. It was produced by Wishbone Ash singer and bassist Martin Turner. The members of "New Deal" were Mario di Stefano on guitar and Klaus Gehlaar on bass. On the re-release you can find the 8 original tracks of the 1982 album (one of them is a cover version of "The Dukes" classic song "Leaving It All Behind") and in addition to that there is also a bonus track on the CD. 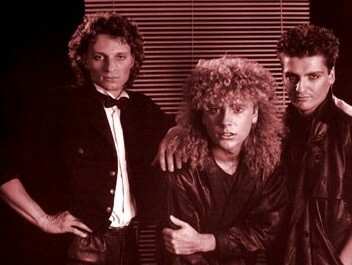 The song "Walk On Fire" was recorded in London in 1990. Actually the song was recorded for the project "Glory Glory" and its members were Jimmy Martin and Laurie Wisefield (Tina Turner, Joe Cocker, Wishbone Ash). John Edwards from Status Quo played bass on this track and Jeff Rich(ex-Status Quo) played drums. - Music makes the world go round was the sole thought of Jimmy Martin, when he moved from Luxembourg to Los Angeles at the age of 19 to become a professional musician. Just having arrived there, he quickly became a part of the local music scene and started playing in several bands. This was the beginning of Jimmys career, which has hugely developed not only as an artist, but also as a well known and respected composer and producer. After Jimmys arrival in the states, well known music lawyer Michael Shapiro soon discovered Jimmys talent and took him under his wing, introducing Jimmy to various respected songwriters and producers such as Grammy Award winner Clif Magness (Avril Lavigne, Kelly Clarkson, Celine Dion). During this period of time, Jimmy signed a publishing deal with EMI music. His debut album “The Rhythm Of Life” including the hit single “I Can’t Fight Love” hit the Canadian charts. His second album followed swiftly: “Kids Of The Rockin Nation” featuring big names such as John Edwards (Status Quo), Jeff Rich (Status Quo), Laurie Wisefield (Tina Turner) and Don Snow (Simply Red). The single “Drivin’ Through The Pouring Rain” was written by Desmond Child, famous for his work with Bon Jovi, Ricky Martin and Cher. Now a well established figure.. on the music scene in Europe, Jimmy stormed the charts with his hit single “Angels” in 2002. “Angels” became the title song for the program “Die besten Hits mit Gefühl” which was broadcasted for over three months on the European major TV and radio stations RTL, RTL II, Super RTL and VOX. For his success at achieving No. 1 in their charts, Jimmy was presented with a golden award from RTL in July 2003. Jimmys songwriting and producing skills have been much publicised and talked about over the last year, as he has produced, together with Clif Magness, Tommy Remm and Valicon, the English “Popstars – The Rivals” winner Jamie Shaw, whose album “Different”, containing the homonymous hit single “Different”, was released earlier this year. But one can’t keep a dedicated musician.. like Jimmy Martin behind a recording desk in a studio for long. And therefore the hard working cosmopolitan is back on stage and behind the microphone with his brand new single “Love Somebody” (feat. Rick Springfield) that proves once again that he’s a convincing artist, in the studio as well as playing live. Because music makes the world go round – and Jimmy Martin makes the music.